Brioche Doree, India’s first authentic French cafe bakery serving 100% vegetarian food launched in Delhi! 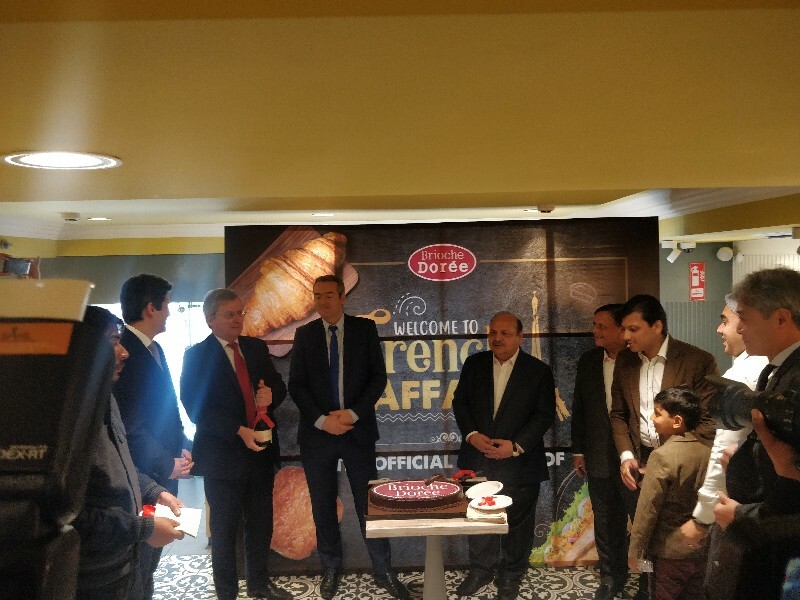 New Delhi: Internationally acclaimed, Parisian French Bakery, Brioche Dorée launched its first exclusive store in India today with HR Bakers Pvt. Ltd. at Connaught Place, New Delhi. Brioche Dorée is known to be the second largest bakery/café chain in the world. The stores of the brand in India has been curated in the 100% vegetarian avatar. The store has a perfect French style setting with interiors playing around the brand logo colors, Red and White. The front display is quite large and detailed which has been very finely crafted to please to the eyes of the customers. Besides, the caf welcomes you with an intoxicating aroma of coffee and the smell of the fresh baked bread which can give one gastronomical delight anytime. The event saw presence of several French dignitaries like Jean-Marc Fenet, Head of Economic Department of the French Embassy, Francoise Moreau LalAnne , Counsellor for Agricultural Affairs/Regional Economic Service/French Embassy, Olivier Delbecq, Head of Agrotech, BUSINESS FRANCE, French Embassy. Happy Hours School, Greater Noida Celebrated it’s glorious 14th Annual Day!